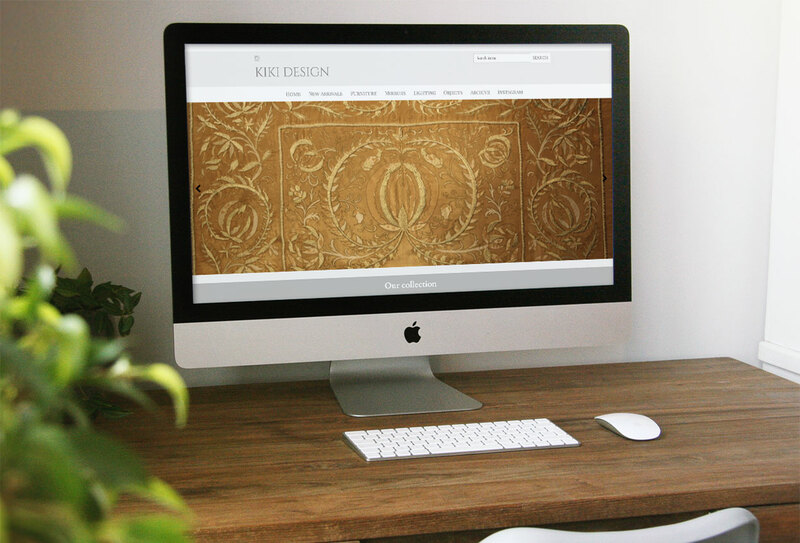 Sarah Roelich began Kiki Design in 1998. She has a well-established knowledge of antiques and modern design having worked for Christie’s Fine Art Auctioneers as well as a discerning decorators eye from time spent with various other interior design companies. Together Sarah and Jon expanded Kiki Design - opening a shop in Petworth, West Sussex in 2011 and extending their range and collection further. Their unique and dynamic collection is chosen piece-by-piece based on individuality, originality and quality of craftsmanship - not to mention decorative appeal. Where necessary pieces are sympathetically restored and finished to a fine standard. Sarah and Jon passionately believe that a harmonious and timeless interior is achieved by selecting decorative and antique pieces that complement each other. Kiki Design stocks an eclectic mix of decorative, antique and often glamorous items that also have a strong emphasis on comfort, elegance, practicality and timelessness. Kiki Design offers a range of furniture, lighting, mirrors, art and objects sourced from all periods - from the 17th Century to the 20th Century.